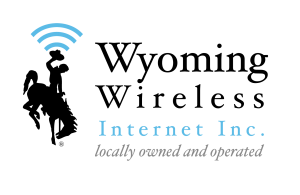 About :: Wyoming Wireless Internet Inc.
Wyoming Wireless Internet Inc. provides Internet Services as well as the newly added addition of Managed and Unmanaged IT (Information Technology) Services to Wheatland, WY and surrounding areas. Both services are available to Businesses and Individuals alike. Quality Service and Customer Satisfaction are our number one priorities, we are constantly striving to complete network upgrades and expand our coverage to make sure we meet those goals. In addition to being located in Wheatland, we are owned and operated by a Wheatland native. This gives us a unique view into the needs of our customers and allows us to add an extra personal touch. If you have any questions we would love to hear from you, please give us a call or use the contact form to send us an email.